Introduction video for the Middle School Vanguard team (Josh Smeader, Phu Trieu, Amy Bussott, and Scott Seeley). 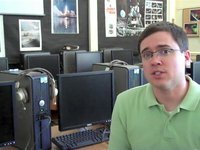 Introduction video for Kyle Krol, English and Writing Center teacher at Mattawan High School. 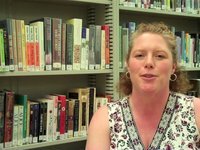 Introduction video for Jennifer Bussies, Government and World History teacher at Mattawan High School. Introduction video for Ben Rimes, the K-12 Educational Technology Coordinator for the Mattawan Consolidated School District. About this time last year we were finalizing the migration from the old Novell file servers to the new Apple X-Servs as well as in the middle of preparing an email migration from Groupwise to Google Apps. I don’t really expect anyone to remember, but at that time it was explained to everyone that we were going to be keeping both the old Novell data as well as the old Groupwise email server (and it’s email) up and running for another year. Let’s talk about each of these individually for a second. We have been keeping the old email server alive for the past year and it has been accessible via the Groupwise Web Interface. (Remember that the webmail server is only accessible from campus. You can no longer access it from home). We have kept it going so that you can log into the web email and forward anything that you want to keep to you Gmail Account. If you want more details on this, look at the old post from back in June of last year. Now that our Novell licensing has expired we are required to turn this server off and remove all Novell owned software. This will happen on June 17. If you still have things on the old mail server that you need please take the time to take care of that prior to the 17th. Once connected you will be prompted for the file share to open, choose “Staff”. Double click on the “NovellData” folder, and you will see folders that represent the old H:, I:, P: and S: drives. You will find your old H: drive in a folder with your name on it in the H-Drive folder. The other drives are exactly what you think they are. Please do not try to copy the entire contents (except perhaps your H: drive if you haven’t already) to your laptop! This folders contain the entire contents of the old Novell network file servers! If you are reading this and are confused, asking yourself, “but, I’ve been working in the NovellData folder all year?” STOP! You should not be doing that. The building secretaries have been working all year moving selected files from the old novell data area to the new Building and Department folders in the Staff area. Like the Groupwise email server, the “NovellData” folder will be removed from Lobo on June 17th at noon. This single folder takes up the lion’s share of all the file storage space on our server. We will be archiving this old data when we remove it form the server and storing it off-site for the requisite 7 years required by law. We are beginning the migration of our email and calendar systems from Groupwise to Google Apps. Please read this entire post, or bookmark it for later reference. You will need this information as we transition to Google Apps for Education. With Google Apps, we’ll gain the benefits of a robust and innovative feature set — including the ability to access email and calendar services from any computer — as well as lower infrastructure and support costs. On June 16, we’ll turn off delivery of your email to your Groupwise account and turn on your new Google Apps account. At that time, all your new email messages will be delivered to your Google Apps account and any new calendar events to which you’re invited will appear on your Google Calendar. Important: Existing email messages, calendar events, and personal contacts in Groupwise will not appear in your Google Apps account. However, if you wish, you can make arrangements with the Technology Department to have your email migrated to your Google Apps email for you. Simply send an email to support@mattawanschools.org with the subject line: Please convert my email, and we will put you in a queue to have your email converted. Before you make a request to have your email converted, please read the section About Converted Email. We will not convert your email unless you make this request. We will not be converting your Address Books/Contacts for you. Instructions on converting your contacts is provided later in this email. 1. Remove all nested folders. The conversion process will not handle nested folders. (ie: having “folder2” inside of “folder1”). You will need to move all of your folders so that they are at the same level in your inbox. Folders not present in your inbox will not get converted. 2. Remove special characters and spaces from folder names. If you have characters such as “/” or “&” (any non-alpha character other than “_”) in a folder name, that folder will not covert and will be skipped. This is the way the conversion routine works and has nothing to do with us. Make sure that you either remove all spaces from folder names or replace them with “_” as well. 3. The Sent Items folder will not convert. The conversion utility does not convert your sent items folder. If you want to convert your sent items, create a folder in your inbox called Old_Sent_Items and copy the contents of your sent items folder to it. 4. Clean out all personal email. Go through your folders and remove any personal emails that are not a matter of public record or that you need to retain to do your job. 5. Remove duplicate file attachments. Please make an effort to copy attachments that are in emails out of the email and into your H: drive, then delete the email. if you must keep the attachment with the email, please only keep the latest email and remove all other portions of the email thread that contain duplicate copies of the attachment. Following these 5 steps will greatly decrease the amount of time needed to convert email and will insure that you start out with a clean, easy to manage set of data and folders in your new inbox. Once the data is converted, you will be free to rename and move the folders around to your personal satisfaction. The naming and folder restriction are confined to the conversion process, not to how you handle the data post conversion. After June 16, log in to your Google Apps account and begin using it for all your email correspondence and calendar scheduling. To access your Google Apps email, open your web browser and go to http://gmail.mattawanschools.org. Log in with the same username and password that you used to take the Apple Professional Development Survey. Your username is your first initial and last name (ie: ppoggione). You should have changed your password when you took the survey, so I can’t tell you what it is Incidentally, if you try to accesshttp://gmail.mattawanschools.org prior to June 16, you are likely to encounter an error since that URL will not be active until June 16. Also keep in mind that full mail functionality will not happen until June 17th or 18th. If you would like to use an external email client with your new mail other than the web interface, or you would like to access it via a mobile device such as an iPhone or Blackberry, there are resources on the Google Apps site to assist you. You are not restricted as to what type of email client or device you use to access your email. You can find many resources on accessing Google Apps email by following this link. There is no automated means available to convert your personal contacts from Groupwise to Google Apps. For the Tech Department to convert contacts for you, we would need direct access to your Groupwise account and convert each individual account separately. For this reason we will not be doing it for you. If you would like to convert your contacts on your own, please follow these steps. Click Address Book – Right click on the particular address book (i.e. Frequent Contacts) that you want to move/export and selectExport Book. Change the “save as” file type from the drop-down box where you enter the filename to “Comma Separated Values (csv)”. Browse for the address.nab file on your desktop that you created in step 2 and 3, then click import. Over time we will be developing more detailed instructions to help you complete these and other tasks quickly. Will I still be able to access my Groupwise account after the switchover? Yes, for the 2010-11 school year, you can still log into the Groupwise webmail interface (http://gw.mattawanschools.org) after June 16 to view your email, calendar, and personal contacts. However, no new mail will arrive there. New mail will go to your Google Apps account email. No, you can’t access your account until after June 16. Your email address will remain the same, it will not change. You’ll be able to master the basics — sending and receiving email and viewing and scheduling meetings — very quickly. However, the time required to completely move over to Google Apps can vary, depending on how you currently use Groupwise. For example, for a typical email and calendar migration, expect to spend about 4 to 8 hours over the course of a week or so, to view online resources, review documentation, and set up your services. If you also access email on a mobile device, plan on spending a bit more time. Yes, The Technology Department will make its best effort to assist everyone with their new Google Apps account. We’ll provide documentation that contains instructions for accessing your account (such as this blog post), setting up your new services and mobile device, and using the services. As always, creating a helpdesk ticket will be the most reliable way to get assistance. Watch for more email announcements and blog postings about these resources and other services. As always, if you have a question or have problems, you can create a helpdesk ticket or send an email to support@mattawanschools.org. Hello again everyone. As opposed to continuing to send out emails on subjects that you might not find important today, but which you could not find the email tomorrow when it is important, I will start using our blog server to make this stuff easy to find. I know, the title above implies that there will be a question every day, but in reality, there will only be a question when I get one that makes me think, “Gee, I bet everyone would like to know the answer to this question”, or I think to myself after reading it, “D’oh! Why didn’t I think of that!”. There has been some confusion (at least among my group of friends) regarding H drives for next year. Will we have access to our H drives while at school on our laptops. Will we need to put the H drive on a flash drive in order to have it? This is what was mentioned to some of us. Thanks for clarifying. This is a great question and one worth exploring. First, it’s good to mention a little about the H: drive so that we all are speaking the same language. The H: drive is what currently is referred to when someone is speaking of their network “home” file storage. This data is stored (or “lives”if you will) on the network and is private to you, the individual user. Right now, on every desktop computer running Windows, your local personal files and settings (ie: My Documents, My Pictures, Internet bookmarks etc.) are redirected away from the desktop computer and actually stored out on the network. This gives us the ability to back them up for you and to recover them if (did I really say if?) something bad were to happen. When you get your new, shiny, Apple MacBook, there will no longer be a need for a network “home”. All of your files and settings will be stored locally (meaning physically) on the laptop. Where you take your laptop, you take your files. This is important to remember. This means that you will not need to connect to the school’s file servers in order to get your files. (Important Note: This does not pertain to shared files such as what you now think of as the I:, S:, O: and N: drives. We will deal with that issue at a later date and I will link it to this posting). But what about backing up my files? Each laptop has special software installed on it that runs in the background to back up your files to a server on our network that is configured specifically for this purpose. You do not have to do anything, this backup will occur automatically. If something “bad” happens and you need to recover files, you will simply open this utility, browse the files that have been backed up, and choose the version of the file that you would like to recover. For now, don’t worry about the actual steps involved to recover a file. The process is quick and simple and detailed instructions will be made available to you soon. Backup will occur whether you are here at school or at home (from home it occurs over the Internet). This also means you can recover files from anywhere as well. As always, there is no substitue for being personally responsible for your own backup! Automated processes are just that – automated, and occasionally subject to failure. So, if you have any personal items on your laptop and don’t want to lose it, it is recommended that you purchase an external hard drive and make use of the Apple Time Machine to back up your files, or make sure you keep copies. All of your files that are backed up on our servers are encrypted and can only be recovered by you with your password. All we see is encrypted gibberish. So please rest easy, no one but you will have access to the files that you have backed up. What about the files that are in my H: drive now? How will I get them to my laptop? Later this summer we will have you current H: drive data moved to a location that you will be able to access with your laptop. You will then be able to copy over the items that you wish to keep. this will be a great time to finally clean out all that old data (hint, hint). You can also be proactive and use a flash drive right now. Copy your H: drive data to it and when you get your new MacBook, copy it form the flash drive(keep the data on the flash drive as a backup until you are sure that you don’t need it any more). I hope this helps to dispel some of the confusion on this topic. Please feel free to email me if you have any specific questions, or better yet, just post your comments to this blog post. Who knows, your question may be the same as someone else’s!